Essence beauty has finally made it's way to the UK. After hearing great things about the brand by American youtubers and bloggers I knew I had to get my hands on some things to try. I large amount of Wilkinson's are now stocking Essence, which is a place I normally go to for beauty products but I actually ended up picking up a few good deals whilst I was there. 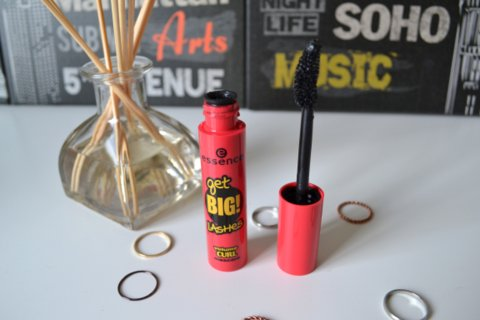 Essence Get Big Lashes Volume Curl Mascara - £2.30. I was really impressed by the amount of mascara Essence had to offer; ones for volume, curl, length and even waterproof formulas. I opted for one which claimed to give big lashes and good curl as that's what my lashes lack.The brush is big but tapered towards to end. The formula isn't too wet and i've found it gives a nice false lash look without being clumpy or leaving fallout. It also seems to hold a curl fairly well. Definitely a great affordable mascara find. Essence Stay Natural Concealer - £2.00. 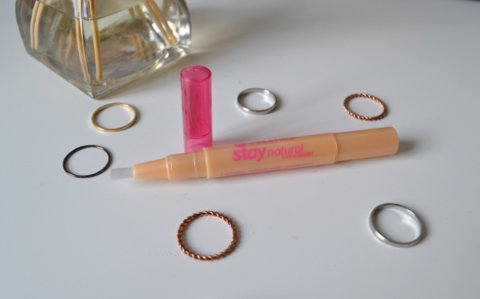 I really like pen style concealers; they're perfect for giving coverage under the eyes whilst remaining light on the skin. I found the shade range a little odd with this one, 03 turned out to be the lightest shade and is a good match for fair skin. The formula is light and creamy. As the name suggests this is a natural looking concealer so the coverage is light/medium but is nice to use when i'm wearing a little less makeup. Not one to reach for to cover heavy dark circles but perfect for more natural looks. I don't normally use lip liners but the fact this was only £1 I had to see if it was any good. I'm happy to report that it definitely is; there wasn't a huge shade range to choose from which is a shame as the formula is easy to apply a precise line around the lips. It doesn't feel drying so can be worn on it's own all over the lips and the shade Wish Me A Rose is the perfect, slightly blue toned baby pink. The wear time is good and I find it helps whatever lipstick I wear over top wear better and longer. So all in all i'm really impressed with everything I tried by Essence and definitely will be picking up a few more items to put to the test. 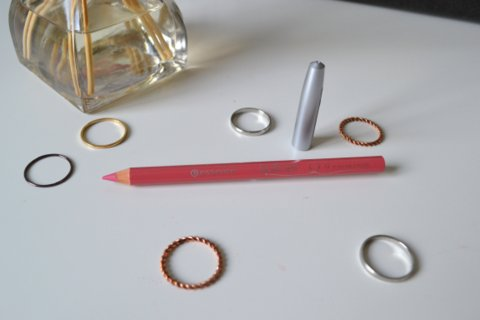 All the products are very affordable and the quality definitely seems to be high. Next I definitely want to try some of the blushes and eyeshadows. Have you tried any Essence products?